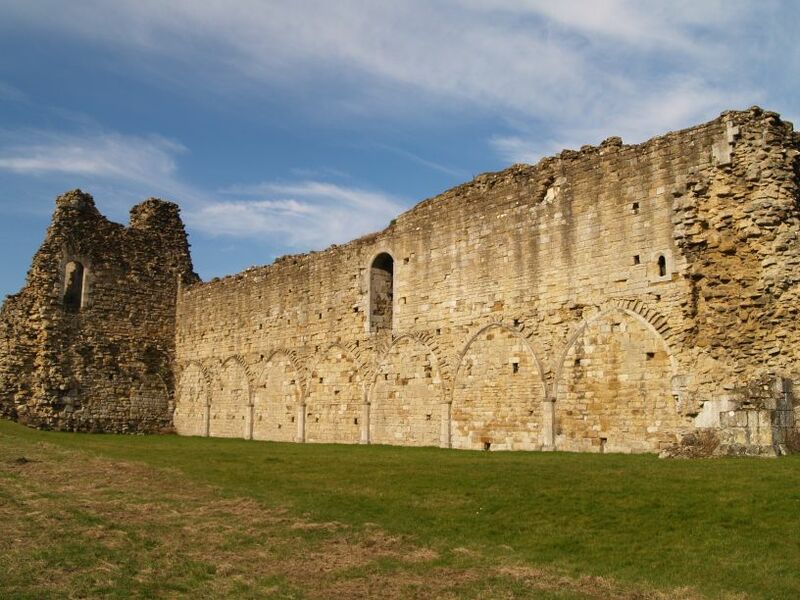 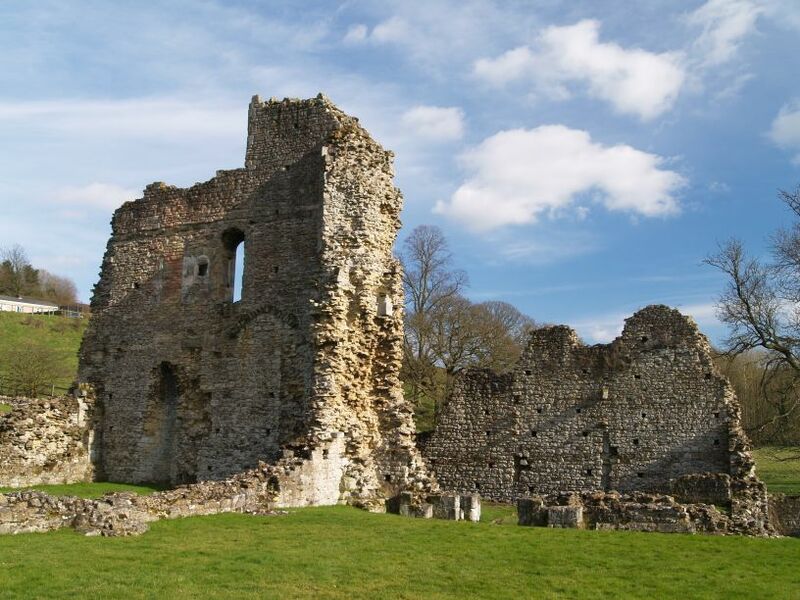 Kirkham Priory Abbey was founded for the Augustinian Canons by Walter l'Espee around AD 1125, but most of the ruins you see now date from the 13th century with some parts from the late 12th and 14th centuries. 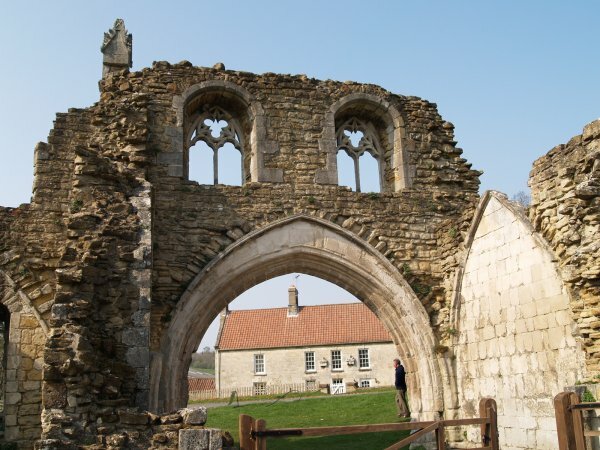 The bridge over the River Derwent to Kirkham Priory when you turn down of the busy Malton-York A64 road. 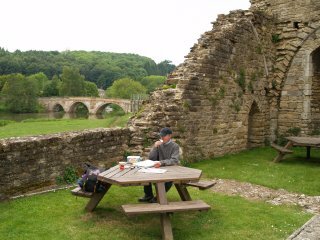 Easily visited en-route to other places and a lovely respite from the busy A64 road to York from Whitby, Scarborough, Malton or Pickering. 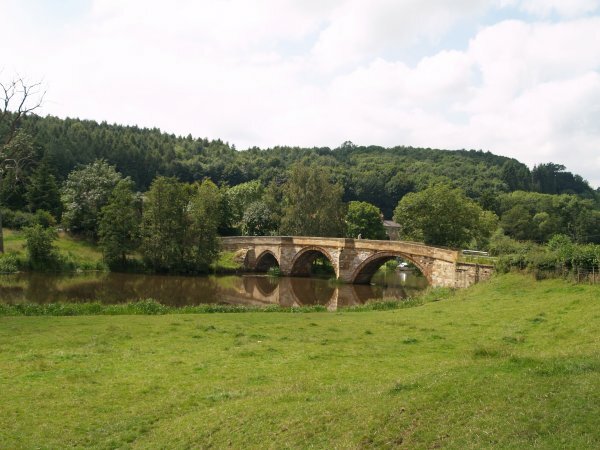 No doubt there would have been a medieval bridge here, but the present 3 arched bridge was rebuilt by Carr in 1806 but the north arch (far left) may be much a restoration of a much older construction. 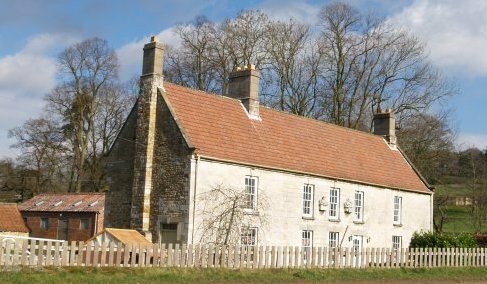 Manor House Farm viewed from inside the entrance of Kirkham Priory. 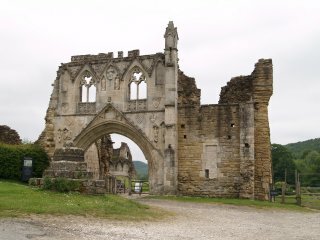 The entrance to Kirkham Priory (dates from ~1320) and in front of it the stump of an old medieval cross. 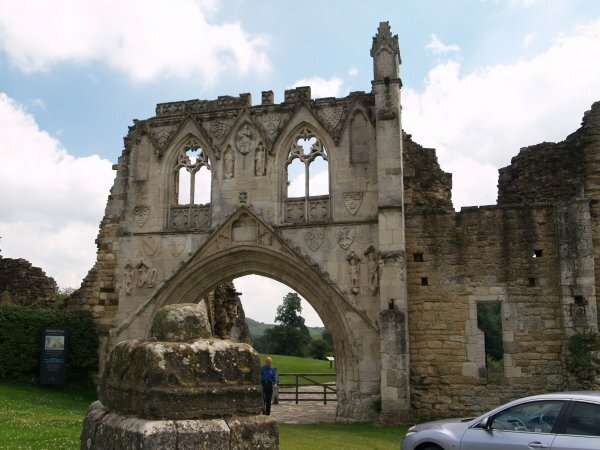 This gatehouse is a splendid example of the Decorated style of architecture and worth examining in detail. 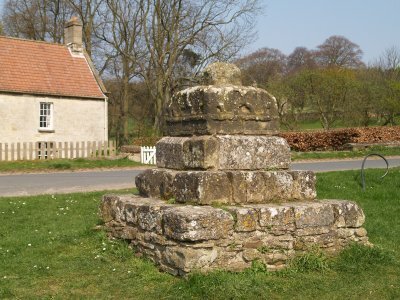 The tiny remaining stump of this, presumably, medieval cross, is set on a stepped base with quatrefoiled plinth. 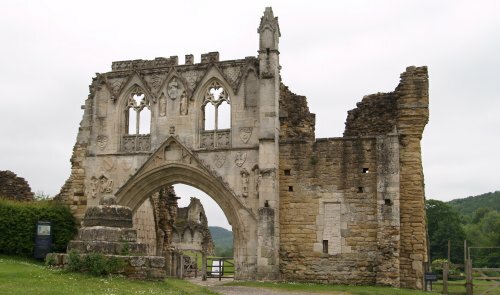 The grand richly carved entrance to Kirkham Priory. 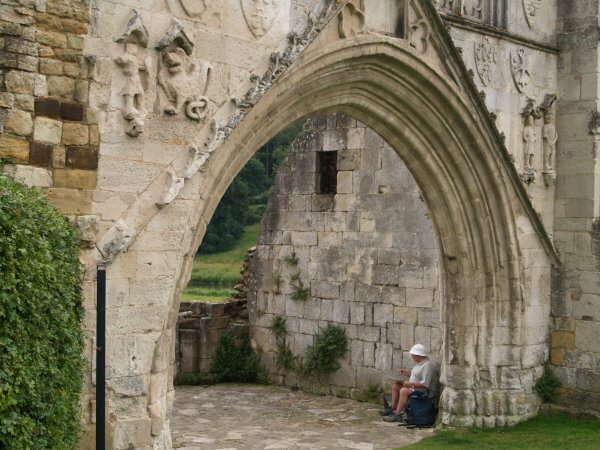 Details of the carvings on the entrance archway at Kirkham Priory. 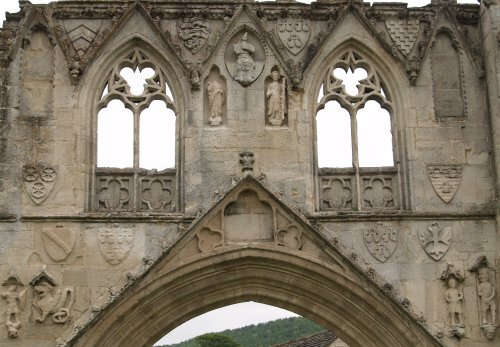 A few fragments of the stone vaulting that supported an upper floor. 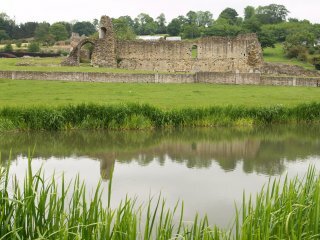 Similar view of Kirkham Priory viewed across the River Derwent. 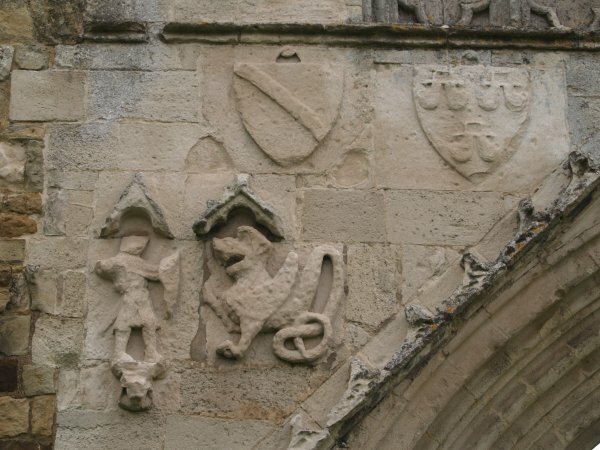 The fragment on the left is shown in detail below! 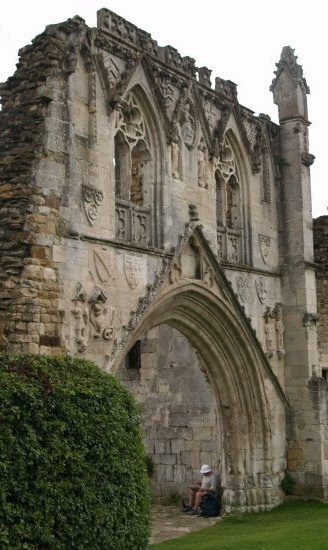 A small fragment of the great stone architecture of Kirkham Priory standing proud and defiant against the 'ravages' of Henry VIII and the weather! 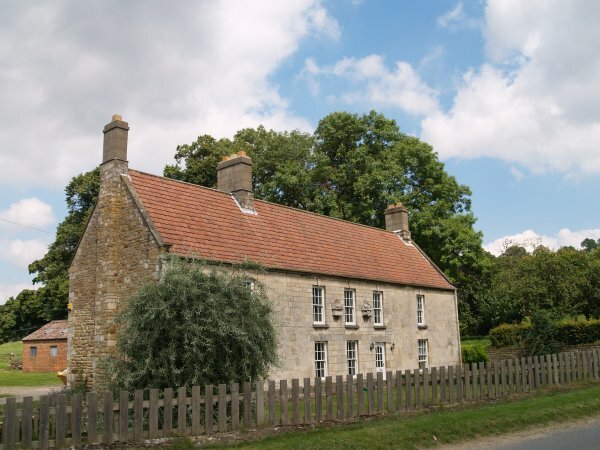 The house of the splendid Manor House Farm, opposite the entrance to Kirkham Priory - I wonder what it was built from?! 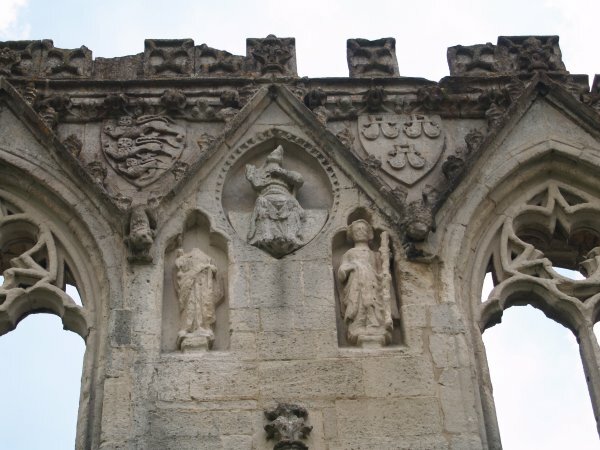 A couple of 'funny' head carvings on the front of the Manor farmhouse (from the Priory?). 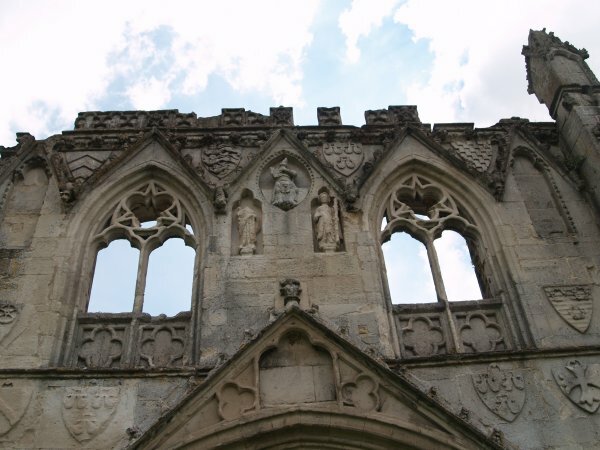 These two pieces of figure sculpture (upper half only) are similar to figures set above the parapet on the nave aisles of York Minster. 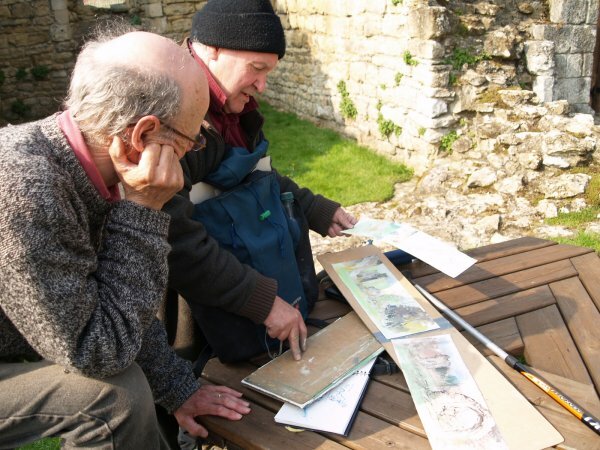 The Northern landscape artist Peter M. Hicks working at Kirkham Priory. 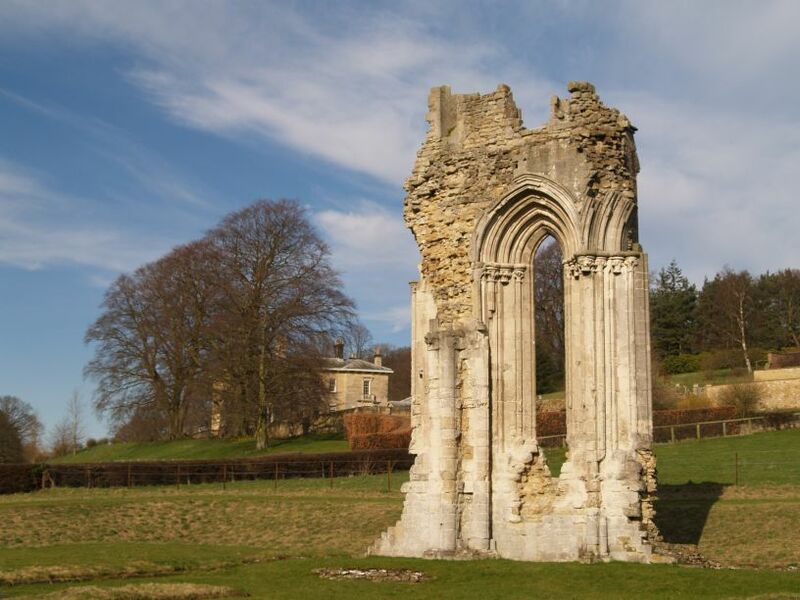 Although only a cup of tea from a machine, this particular setting for a picnic in the Howardian Hills in North Yorkshire, England, is magnificent. 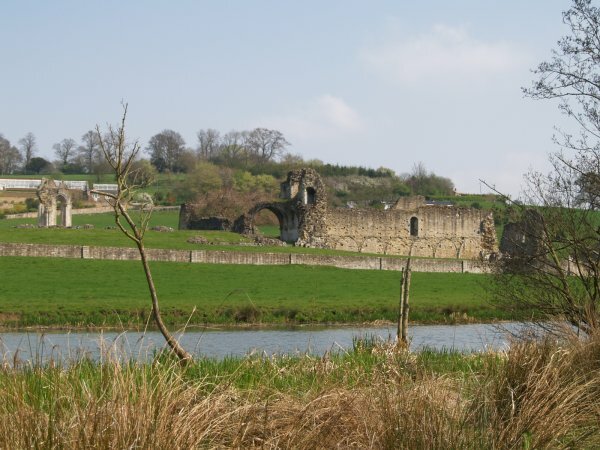 On one side is the beautiful River Derwent and road bridge, and on the other side of the picnic table are the ruins of the Augustinian Kirkham Priory, founded in the 1120's. 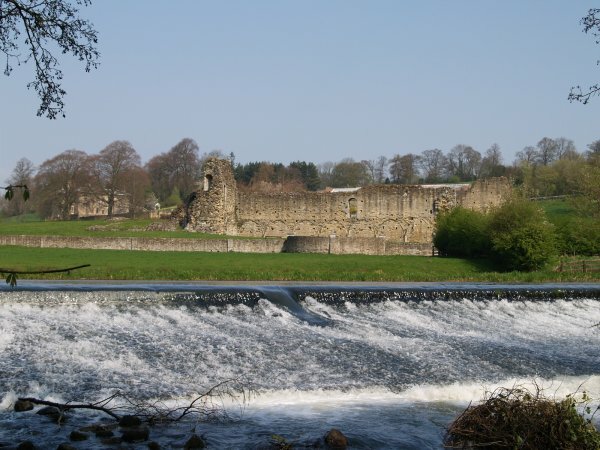 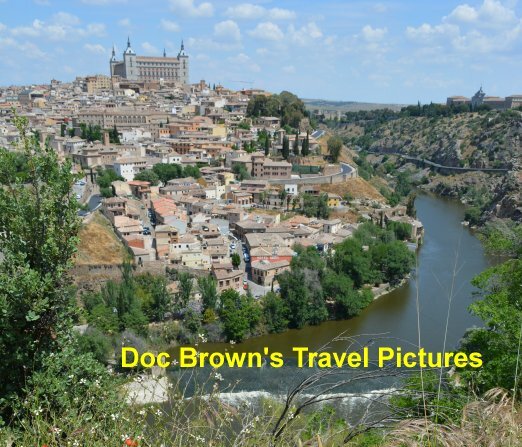 There are some good river walks and old villages and churches e.g. 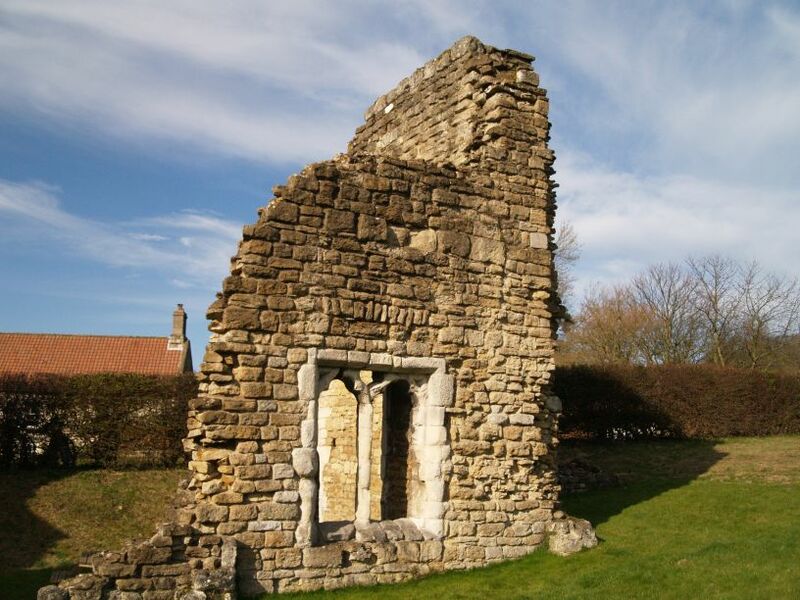 Crambe to explore in the area.